Nimbus Landscape Materials advises customers to please view our material in person if you are matching existing material or placing a phone order. Color and texture may vary due to photo quality. A white, washed clean, beach-like sand. 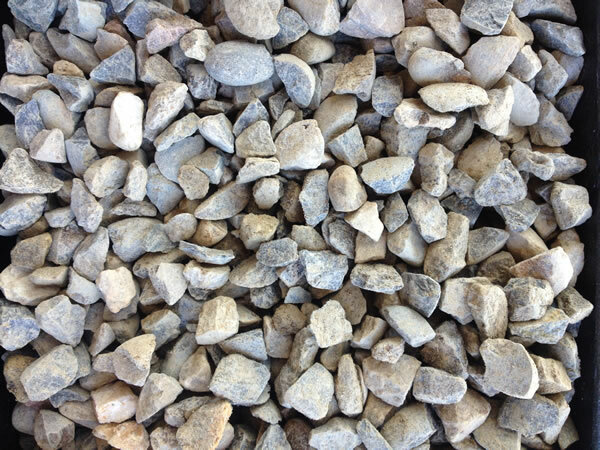 Used in some areas as a decorative sand or in a sandbox for kids. Sold in increments of ¼ yards to full yards. A gray colored, course sand. Used as a layer underneath pavers. Sold in increments of ¼ yards to full yards. Also known as utility sand or PG&E Sand. Used for drainage. Sold in increments of ¼ yards to full yards. A golden decomposed granite that’s 5/16” minus screened. Used for setting under flagstone and pathways for dogs and trails. Sold in increments of ¼ yards to full yards. A ¾” round rock with fines that support how well it compacts. 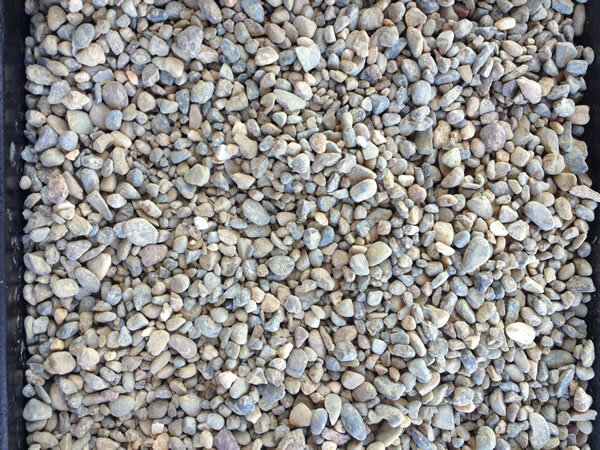 Used in concrete mixes. Sold in increments of ¼ yards to full yards. A ¾” crushed rock with fines that support how well it compacts. Can be used for driveways, under artificial turf & more. Sold in increments of ¼ yards to full yards. ½” crushed rock. Gray in color. Also, comes in ¾” size. Sold in increments of ¼ yards to full yards. 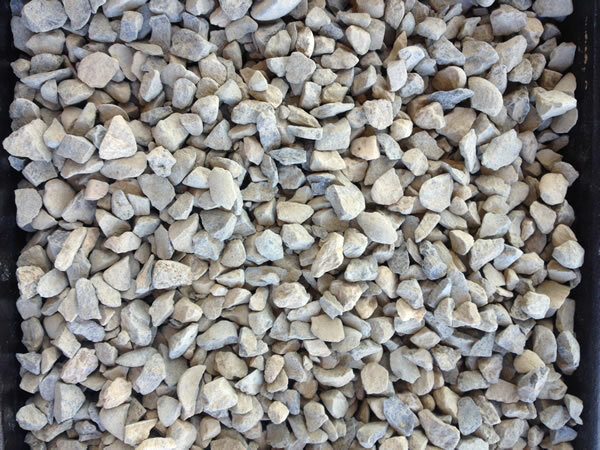 A gray crushed rock that compacts together for use under wall block or concrete slabs. Also comes in a ½” size. Sold in increments of ¼ yards to full yards. Brown and gray pea sized rock. Sold in increments of ¼ yards to full yards. 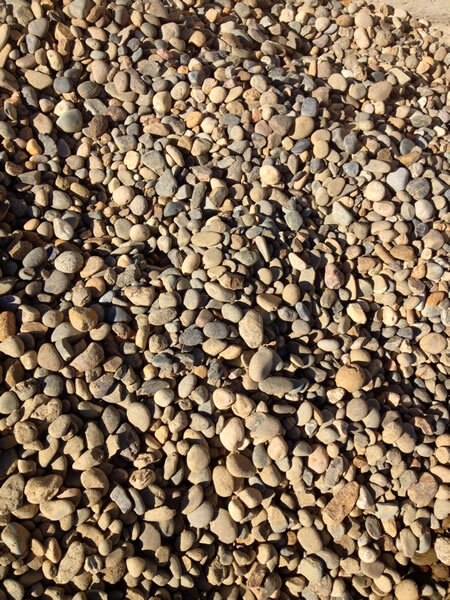 ¾” gravel is a round, brown and gray rock. Also comes in an 1½” size. Sold in increments of ¼ yards to full yards.